On Friday September 30, 2011 Dubspot will bring two very special guests to Decibel 8 for a series of workshops that focus on music production and composition using Ableton Live and Maschine. We never stop moving here at Dubspot. We are on a constant journey to find the latest movements in sound creation and present that knowledge to our students and readers. This week we’re excited to present and participate in Seattle’s Decibel 8 festival which kicks off on September 28, 2011. The festival itself is an amalgam of art and music guided by technology with an eclectic lineup of cutting edge producers, DJs, VJs and artists from around the world. Spanning 5 days and 31 events, Decibel has become a cornerstone for collaboration and learning amongst creatives and visionaries. To get into the groove of this event and share our knowledge of music creation, we have lined up two special workshops this year that will happen on September 30th at 5pm and 6pm, respectively. Both workshops will take place at Fred Wildlife Refuge which is located at 127 E. Boylston in Seattle. Dubspot’s own Professor Nalepa will start with a production workshop using Ableton Live. He will be followed by Detroit’s Mike Huckaby who will show his love for NI’s Maschine and teach composition and production methods with this platform. Professor Steve Nalepa is an LA-based producer, professor, Dubspot Instructor and Ableton expert who has been teaching Live for over seven years. He’s produced tracks and collaborated with everyone from legends like Bill Laswell and Pharoah Sanders to rising electronic music artists Nosaj Thing and The Glitch Mob. He designed Dubspot’s online Ableton Live curriculum and is currently producing a weekly series of Ableton tutorial videos for our blog. At this special Decibel workshop Professor Nalepa will share production tips, performance techniques, and compositional strategies using Live. In the above video you can get a taste of Nalepa’s sought-after skills. If you enjoy the session you’ll be pleased to know that he will be teaching our next online Ableton Live course! 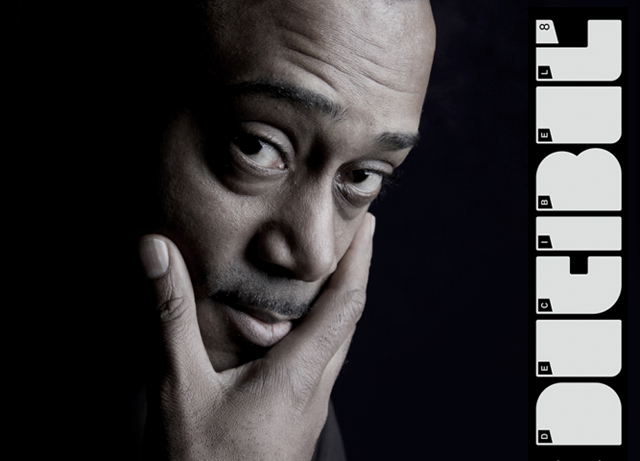 Detroit’s Mike Huckaby is a living legend and part of Motor City’s techno and house heritage. With over two decades of work as a creator, remixer and dj, he’s become one of the most sought-after producers in the world. Mike’s love for music is shadowed only by his love for sharing knowledge about music and we are especially honored to be a part of this workshop where he will create a deep house track from scratch within minutes, using only Native Instruments flexible Maschine hardware/software. This summer has seen a lot of online presence for Mike Huckaby. In addition to videos such as the one above, he just completed a mix for Resident Advisor Podcast #278 which you can download here. “These are the records that I want to hear for the rest of my life. This is also my last podcast for 2011. So the best has been saved for the last, so to speak.”He also talks about some recent projects: “I’m quite busy these days. I’ve just finished Tresor’s 20th Anniversary mix CD, remixes for Vladislav Delay and Pole, a limited release for Sushitech, Sun Ra Edits Vol 2, a sample CD for Red Bull Music Academy in Australia, the Decibel Festival in Seattle, as well as a European tour that starts in October.” We can’t wait to get some creative time with this highly prolific creator and we hope to see you at the workshop at Decibel 8 in Seattle!